MORONI, Comoros: Two former Comoros presidents are suspected of embezzling millions of dollars from a scheme that sold passports to foreigners to finance development in the Indian Ocean island nation. 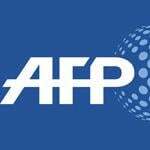 A parliamentary report compiled in December and seen by AFP accuses Ahmed Abdallah Sambi and Ikililou Dhoinine of involvement in systematic fraud and calls for criminal action against the pair. "The courts must take up cases of embezzlement of public funds and conspiracy in which presidents and their associates are implicated," the report said. The scandal dates back to 2008 when Comoros launched a programme, in cooperation with the United Arab Emirates and Kuwait, to give citizenship to stateless individuals from the Gulf known as bidoons. In return, Comoros -- an archipelago between Mozambique and Madagascar and one of the world’s poorest countries -- was expected to receive significant investment from the oil-rich nations. The initial deal agreed that 4,000 bidoon families would become naturalised Comorians in return for $200 million (163 million euros) to be used for major infrastructure projects. Over the following years, almost 48,000 passports were issued under the programme, according to data collected by the parliamentary inquiry -- but just a handful were issued to bidoons. However more than 6,000 passports were sold "outside the legal channels", the report said. Comoros-issued passports entitle holders to visa-free travel to several major economies including Indonesia, Malaysia and Hong Kong. The passports were extensively traded on the black market, profiting "parallel mafia networks which sold them under the cover of economic citizenship," the report said. Former president Sambi’s nephew "was able to go and print as many passports as he wanted" at a contractor’s facility in Belgium. Most of the price paid for the passports -- between 25,000 and 200,000 euros -- was stolen, according to the parliamentary probe. "The programme generated significant fiscal resources. Unfortunately, a good chunk of the proceeds never arrived in state coffers," said the findings. "The state has ended up a laughing stock." The state is thought to have missed out on as much as $971 million, the report said, roughly the equivalent of 80 percent of the country’s gross domestic product. Ex-president Sambi received a "gratuity" of $105 million for signing off on the deal while Kiwan pocketed $29 million for "encouraging" it, according to lawmakers. The "investment for passports" scheme, suspended by current President Azali Assoumani following his 2016 election victory, had been criticised from its inception. Ex-presidents Sambi and Dhoinine vehemently denied the accusations when they gave evidence to the parliamentary inquiry. "We had financial difficulties and we were told that the programme could enable us to carry out projects," Dhoinine told the commission. "But it wasn’t clear," he said, "no one knew, not myself in any case, what was happening." "President Sambi did not see anything of this scandal," said one of his former ministers, Ahmed el-Barwane. "It’s a commission intended to get at someone or to silence someone," he said, adding that Sambi remained a contender for presidential polls due in 2020. Some fear that the revelations will not be followed with concrete action.